← Betrayed by a guy with no last name. Life is a little terrible & a little wonderful. If life weren’t terrible sometimes, you would not know wonderful. If life felt wonderful all the time you wouldn’t know how wonderful, wonderful really is. The secret lies in knowing that even the terrible is wonderful. Beautiful words with so much truth attached. No stress, no life, no trouble, no life, no life, no life. Very well said young lady! Your welcome! Love how you struggle with an issue, and like a lot of us, really haven’t resolved it yet, by the end of the page. wow, thank you so much!!! ❤ 🙂 its a pleasure meeting you! “The secret lies in knowing that even the terrible is wonderful. I agree. Thank you for your amazing poetry and thoughts. Just wonderful. I was looking for a poem to re-blog and this sums up how I see life. Life has suffering in it but it also has joy. Shakespeare wrote tragedies and comedies and they were all beautiful. The same is true with life. Oh and read the rest of Erika Fuego’s Poetry!!! Epic renditions of the inner human life! Great visual structure to your poem. Everything is beautiful, and my responses within Life are beautiful. Thank you for the follow. I am looking for blogging buddies- reading and commenting reciprocally. Comment, and I will follow back. beautiful as always,inspired by the thought of taking life in a positive manner. Thanks for sharing it my friend. A great way of seeing the good in life–love this poem–love this message! As I read this poem it made me want to experience all of those scenarios with you. I could really feel your soul on this one. 🙂 🙂 🙂 I am blushing. ❤ ❤ ❤ Thank you! A very nice piece indeed Erika. It’s like light, without darkness we wouldn’t appreciate its beauty. 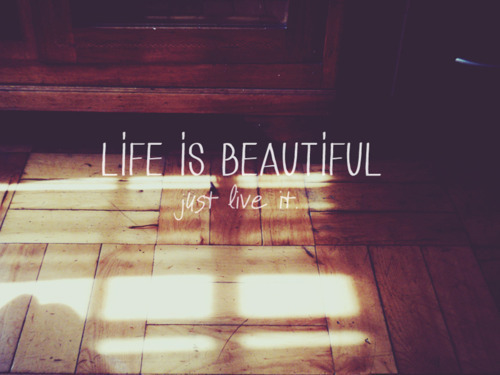 YES… Simply put… ALL IS BEAUTIFUL! the judge has only two eyes and one mind, with a million thoughts to work through! Without knowing polar opposites, it would be impossible to measure our emotional responses to anything – but you have said it more elegantly. Nice work. “The secret lies in knowing that even the terrible is wonderful.” Beautiful! Living in balance. That is the key. thank you for his fabulous read. Thank you so much. Same to you my friend. If life felt wonderful all the time you wouldn’t know how wonderful, wonderful really is. Indeed! 🙂 ❤ thank you my brother. This is wonderful, not terrible, and a little bit of exactly what I needed…thanks!! I am so glad the words you needed came to you. That is a blessing 🙂 ❤ Thank you for reading my friend,. Hold on to those beautiful thoughts Erika, no matter what comes your way in life, and you can rest assured that all will be alright and there will always be more reasons to smile than cry! Lovely poem my sister…God bless you! The profound contrasts in life are needed to make it interesting. Indeed, as you said, “even the terrible is wonderful.” Success is in positivizing, I believe. Very wise, you are right, one would not be able to identify the positive if there were not a negative. Well said. Thank you my friend. You are beautiful.